Welcome to a weekly feature here at Movies With Abe. 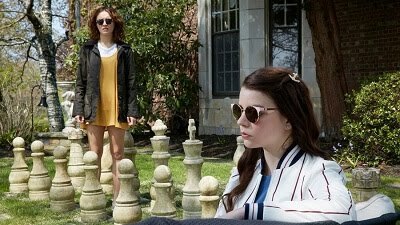 After spending a number of weeks looking at actors who tend to play the same characters, it’s time to spotlight two films with eerily similar plots that came out at roughly the same time. There are surprisingly more examples than might be obvious, and this series will examine the similarities and differences between the two, and how their simultaneous releases affected each other. 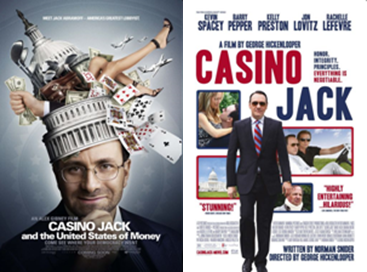 The similarities: Both films, which boast nearly identical titles, chronicled the rise and fall of lobbyist Jack Abramoff, who was convicted and sent to prison as a result of the numerous laws broken in his construction of an empire. The differences: Purely stylistic: the former was a documentary, helmed by Oscar winner Alex Gibney, and the latter was a narrative film, directed by George Hickenlooper, who passed away before the film was released, and starring Kevin Spacey, Barry Pepper, and Jon Lovitz. The releases: Neither film had a wide release, with the former playing in 21 theatres and the latter in 60. The former took in just over $175,000, and the latter netted under $2 million worldwide. The former, a Sundance Film Festival entry, received far more positive reviews than the latter, though the scripted version earned lead actor Kevin Spacey a Golden Globe nomination for Best Actor in a Motion Picture – Comedy/Musical. Which one is more likely to be remembered? Given Alex Gibney’s strong documentary resume, which includes “Taxi to the Dark Side,” “Client 9: The Rise and Fall of Eliot Spitzer,” “No End in Sight,” and “Enron: The Smartest Guys in the Room,” will probably earn his Jack Abramoff documentary a place in the library of history, while Kevin Spacey has done much better work than his exuberant performance as Abramoff in an overdone and mediocre movie.